After a very early breakfast (6am) at our heritage guest house, we said our goodbyes and headed out for the long drive to Udaipur. 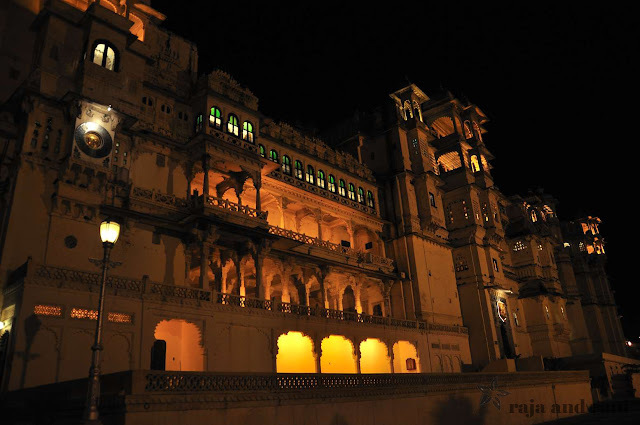 Udaipur was exactly how I read it would be – the most romantic city in India. 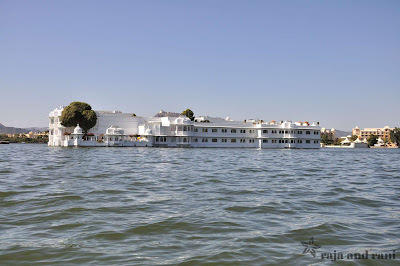 Across the water from the huge lakeside City Palace, sits the world famous bright white Lake Palace, almost floating in the middle of the shimmering blue Lake Pichola. Simply stunning! How can you not fall in love with this place? We spent the afternoon just wandering through the narrow and winding lanes of the main market, looking at the miniature paintings, jewellery, wood carvings, textiles and puppets, all hung out to tempt the tourists. We were both really tired after the long drive this morning and all the walking around this afternoon so we decided to spend the evening at the hotel having dinner and just admiring the stunning views over Lake Pichola.